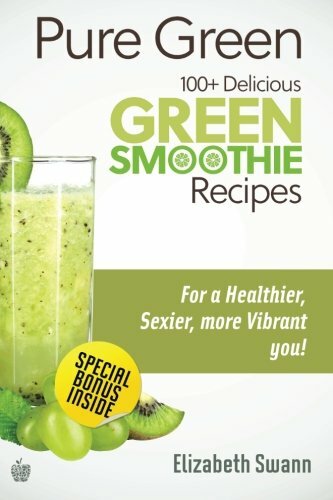 New Bestselling Green Smoothie Book Now Available In Paperback! In her third book, Licensed Naturopath and Raw Food Expert Liz Swann Miller, presents 101 hand picked green smoothie recipes that are not only easy to make, but are packed with nutritional value. Whether you want to lose weight, detox or warm up your body, you’ll find a large variety of health infused recipes that will help you to easily achieve your goals! For a limited time only, get instant access to Elizabeth’s online e-course “10 Days To Everlasting Health” which is currently selling for $17, but you get it for FREE when you purchase this book. So go ahead, scroll to the top and grab your copy of “Pure Green” and start feeling great from the inside out today!